Waiting on Wednesday is hosted by Breaking the Spine and Can't Wait Wednesday is hosted by Wishful Endings - both help us spotlight upcoming releases we're eagerly anticipating! 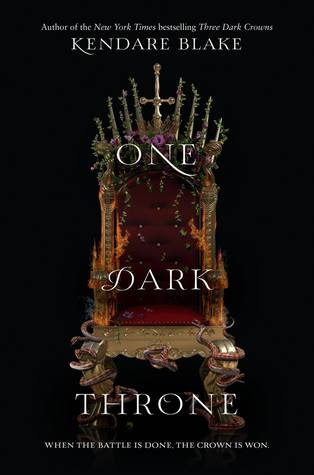 The ending of Three Dark Crowns was pretty unbelievable - I can't wait to see what happens in the next installment! Hi everyone! I'm back from vacation - we had a great time! I didn't get in a lot of reading (mostly on the plane), but that's ok because I got a lot of quality time with my niece and nephews! Today I'm delving into how blogging has changed my reading habits. 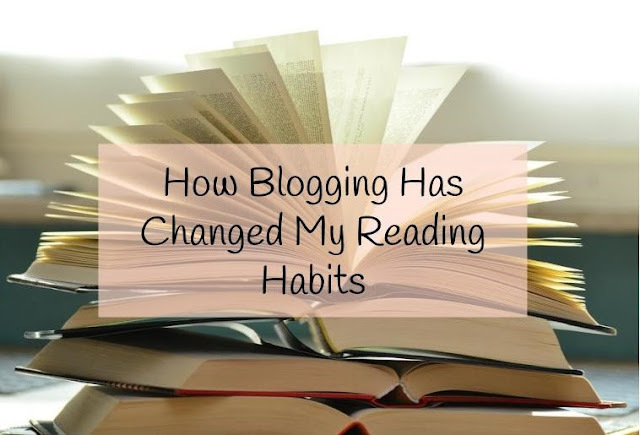 It wasn't something I expected, but becoming a book blogger has actually had a big impact on what and how I read. I read a lot faster than I used to. I used to read maybe 70 books a year, which is still a lot, but last year, the year I started to blog, I read 130 books. Instead of lingering over one book for a week, now I read at least two books a week. Now that I have an ever-growing TBR, I want to read everything, and the only way I can read more is to read faster! I go to my library a lot. Like, all the time. At least once a week. I don't have the money to buy books all the time and especially not if I'm reading at such a high rate. I really rely on my library and I'm so lucky they have a great collection. I read more new releases. I never really used to pay attention to publication dates; I would just read whatever looked interesting. 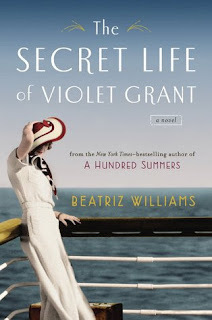 Now I'm constantly coming across new books (through Goodreads and especially through all my fellow bloggers!) and I want to read them as soon as they're released. I'm making notes in my head as I read, even if I'm not going to review a book. I think I read a bit more critically and I make mental notes of things I would have discussed had I been writing a review. All those things we talk about in reviews (character development, plotlines, writing style) - I seem to notice all these things more. I'm branching out and trying new genres. I'm more willing to try something different, especially based on recommendations from other bloggers. Reading so many other blogs has really opened my eyes to all the books that are out there and genres that I never even knew existed. It's inspired me to start my own feature in which I read books from genres that are outside my normal comfort zone, and there are also some genres, like YA and fantasy, that I'm reading pretty regularly now that I didn't before. 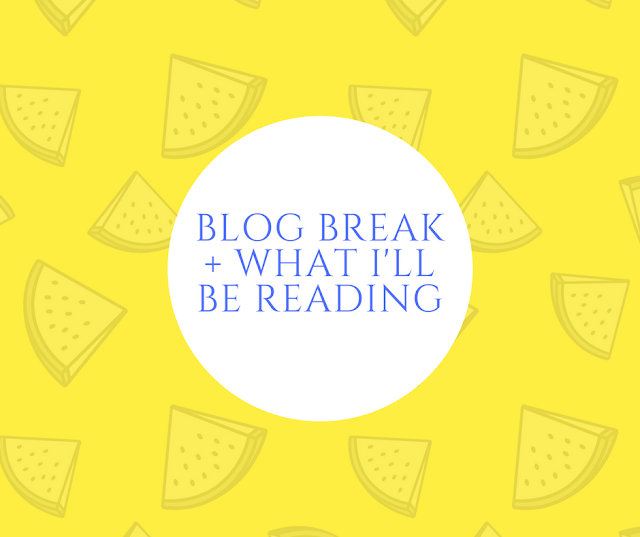 Hi everyone, just wanted to let you know I'll be taking a brief break from the blog next week as I spend some time with family, relax, and (hopefully) do some reading! So yeah, some people might scoff at Dan Brown's books, but I've always loved his stories and their mix of suspense, history, and art! 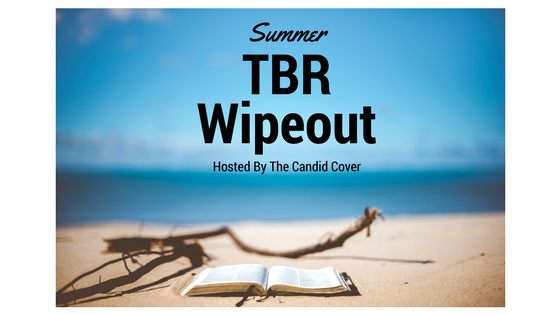 I can't believe it's already time to wrap up the Summer TBR Wipeout, hosted by The Candid Cover! After my last update, I had three more books to go from my challenge TBR of 10 books. Things You Won't Say is a timely story about a police shooting. 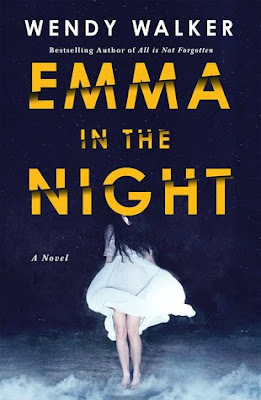 Sarah Pekkanen's novels are a bit hit-or-miss for me; this one was an okay read. I could have used less of the supporting characters and more of the police officer that the story is actually about. I devoured The Best Kind of Magic by Crystal Cestari in just two days. 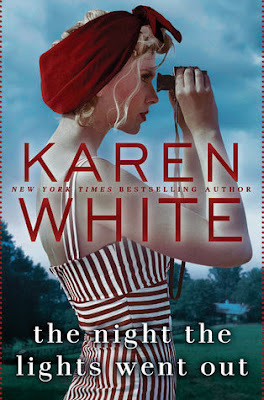 This book was so adorable - a matchmaker, large sprinkles of magic, and touches of adventure. I absolutely loved it! Finally, I read The Girl Before by JP Delaney, a thriller about an unusual home, its mysterious architect, and the women who have lived in this unique place. Although things got a bit odd at the end, I loved the twists and turns in this fast-paced story. I really enjoyed this summer reading challenge. I thought it was the perfect length of time to be able to read a good number of books without feeling like I needed to rush through them or spend all my time reading (as much as I would love to, I do need to do other things sometimes!). And it helped me finally get to some unread books on my shelf and clear out some titles from my TBR from earlier in the year. Hope you all had a great summer of reading! 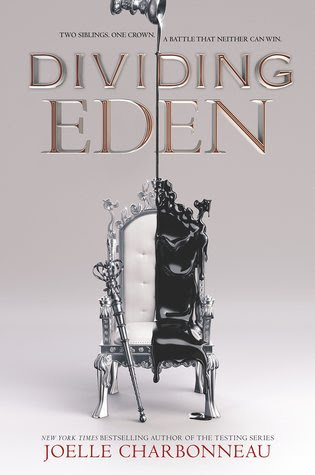 I love books about royalty, and with the added twist of twins and the fantasy element I've been craving lately, I dove right into Dividing Eden. However, while it started out strong, the story and characters lost their way and I ended up disappointed. Princess Carys is strong and stoic. She has spent her life protecting her brother and helping him hide his secret from the rest of the kingdom, but she's also facing her own struggles, namely an addiction to a painkilling medicine. Prince Andreus is a womanizer but he also has a big heart for those who are suffering. After the king and crown prince are killed and the queen renounces the throne, the Council of Elders of Eden is ready to name a new king, even though two heirs remain. Apparently, no one knows which twin was born first; therefore, neither can be crowned. Until someone points out that the law says the heirs can battle each other in a series of trials, with the winner receiving the crown. At this point I was super excited - I couldn't wait to see what trials the twins would have to go through and how they would retain their strong relationship while battling each other. Some of the trials turn out to be kind of lame and seem to have little to do with ruling a kingdom. They also move through them so quickly that it was hard to get invested. Unfortunately, the issues kept coming. The whole beginning of the story leads us to believe the twins are so close, yet Andreus is swayed by another character during the trials and turns on Carys so quickly, it's really unbelievable. It totally contradicted what we know about Andreus. Many of the secondary characters are shady but interchangeable. Honestly, I kept getting a lot of them confused. 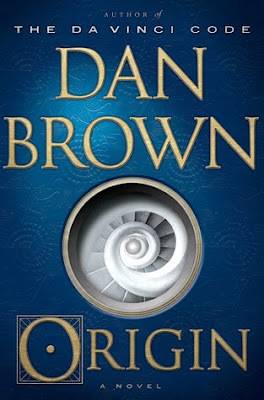 There is a twist of magic at the end that to me seemed to come out of nowhere and isn't supported by anything else in the book (the author gives an explanation, but I wasn't buying it). Plus, I kept getting a Game of Thrones vibe, with winter approaching and creatures that come out of the woods with the cold. The writing is also very repetitive - how many times in a chapter can we be told that Andreus has a secret? 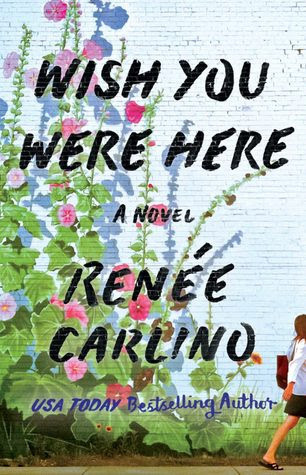 Overall, I wanted to love this story - the idea is unique but it also has so many elements that I normally like. And while I want to see Carys and Andreus find the strong bond they once had, I'm not sure I'll continue with the series. Longwood Gardens is a 1,000+-acre botanical garden located in Kennett Square, PA. We originally tried going in January for their Christmas light show, but of course, there was a snowstorm that weekend. We finally made our way down there a couple weeks ago, and it was so beautiful! For more information about Longwood Gardens, visit their website here. On non-peak days, there is a $23 charge to enter the gardens, and the tickets are for timed entry. The Main Fountain Garden has reopened after renovations, so we made our way there first; like the fountains at the Bellagio in Las Vegas, Longwood Gardens puts on a show with their fountains, set to music (and lights at night). We caught the show a couple times that day - for a good view, definitely get there early; people start lining up well in advance! Next, we went through the Conservatory, a massive building with so many different themed rooms filled with plants and flowers. I probably could have spent hours just in there! One of my favorite parts was actually just outside the Conservatory, where they had several pools of lily pads - it was so pretty! Then we did some exploring outside - we walked past the Meadow and made our way down to the Italian Water Garden. The last place we walked through was the Flower Garden Walk - it had so many different types of flowers, arranged by color - such a cool rainbow effect! We spent a few hours walking around here and probably could have stayed for longer, there was just so much to see. It was a really great place for kids - our niece had a blast running around and looking at everything. We can't wait to go back in the winter to see the holiday decorations! 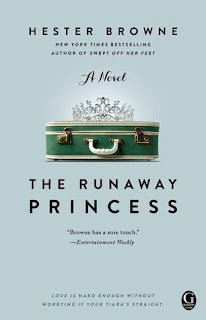 For all those girls who just want answers - I can't wait to read this one! Donating money to a charity is, without a doubt, an awesome way to support your favorite causes - they can use the cash in the areas that need it most and often they can get better deals (like food banks buying in bulk) than individuals can. 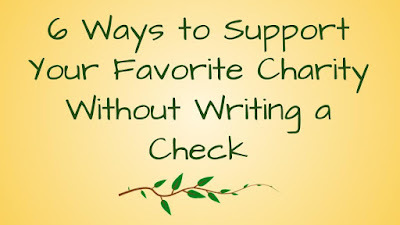 But there are lots of other ways to help out, so today I wanted to list some ways you can support your favorite charities that go beyond writing a check (although, TBH, some of these things may involve some cash layout)! Donate your used books. Places like the Salvation Army, Goodwill, or your local library will accept your used books. These organizations will most likely sell them and use the profits for support. There are also some charities that will distribute your used books or help match you with a new reader; check out this list of charities that accept and distribute used books. I love the idea of putting books back out into the world for others to enjoy. If you're hosting a baby shower, ask guests to bring extra packs of wipes or diapers. We did this at my sister's baby shower. The guests were so generous and we were able to donate the items to Children's Home Society of New Jersey, an organization that helps at-risk children and families. At your next barbeque, when your guests ask if they can bring anything, request non-perishable items that can be donated to your local food bank. Instead of having your guests bring an extra side dish, ask if they'd be willing to bring some canned vegetables or boxes of cereal. Participate in a walk for charity. There may be a registration fee, but sometimes there isn't. Ask your friends and family to sponsor you or join you! Charity walks are a great way to support a cause while getting outdoors at the same time. Organize a get-together with friends and family to put together dinner bags/snack bags/hygiene bags for your local soup kitchen. Check with your local soup kitchen and see what items they accept. Some in our area look for bagged non-perishable dinners or snacks they can hand out; they often also accept hygiene products. Host a Make-A-Blanket Day for Project Linus. My sister and I love making no-sew blankets for Project Linus, so we hosted a Make-A-Blanket Day and invited family and friends. It was so great to see the huge stack of blankets we had made at the end of the day. What are some of your favorite charities? What kind of volunteer work do you do? I thought this story would be about the friendship between Merilee, the single mom, and Sugar, her elderly landlady. And a lot of it was - it was nice to see Sugar, who has been alone for so long, really take to Merilee and her children. However, I felt like these two main characters kind of took away from each other, like their stories were competing with each other for prominence in the book. For example, there are a couple flashbacks to Sugar's earlier life; while it was good to get to know the character better and discover why she is so cold and blunt, it wasn't enough. With so much else going on in the story, the flashbacks kind of got lost and didn't fit with the rest of the book. Another issue I had was with the dialogue. One of my biggest pet peeves is when dialogue doesn't sound true to life, and in this case, the dialogue was often stilted and too descriptive; there was too much telling and not enough showing. However, there was a lot to like in this book. The writing flowed nicely. The Southern vibe came through very strong; I got a really good sense of the Georgia setting, through the language used (I'm totally going to start using "bless your heart"), the multiple references to sweet tea, and the nuances of Southern life. I've always wanted to visit this area of the country, and I felt very immersed in the culture through this book. 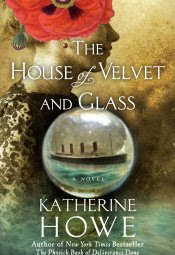 And lastly, the soap opera-like story is perfect for a light summertime read. Thank you to Amy at A Magical World of Words for nominating me for a Liebster Award! 1: If you were a colour, what would you be? (What colour best suits your personality?) Probably blue. I'm pretty calm most of the time and it's the color of so many of my favorite things - the sky, the ocean, and my husband's eyes (I'm so cheesy). 2: A magical animal you'd love to have as a pet? A dragon, so I could fly around on it! 3: Guilty pleasure book? Sometimes I read romance novels by Nora Roberts. 4: Would you rather live in Oz or Neverland, and why? Oh, this is hard. I love Oz, but the never-aging factor of Neverland is pretty attractive - I wouldn't have to worry about more wrinkles or gray hair! 5: You're only allowed to watch 1 movie your entire life. What movie would you choose? The original Ghostbusters. I loved the remake last year, but the original is just so funny and campy! 6: You're stranded on an island with Hermione Granger and Katniss Everdeen. Who do you think is more likely to escape without you and leave you behind - given dire circumstances? Definitely Katniss. I think Hermione is more friendly and would try to exhaust all options before leaving someone behind. 7: One book that forever changed your life? OMG, Amy, these questions are HARD! I'd have to go with Behind the Attic Wall - it's a book I distinctly remember reading and even rereading as a child. I loved it so much I named my cat after one of the characters. I think this book just reinforced my love of reading, so much so that I remember it today. 8: Who's your fictional hero/role model? Weird choice, but I'd say Ned Stark from Game of Thrones. Yeah, he's not around for long, but you can tell he's a guy with a lot of integrity, a good parent, and he knows how to keep a secret! 9: Would you rather drown in ice-cream or burn in pizza? (I'm weird, I know). This is difficult - I like pizza more than ice cream, but burning and drowning both sound like terrible ways to go. Maybe the cold of the ice cream would knock me out before drowning me? 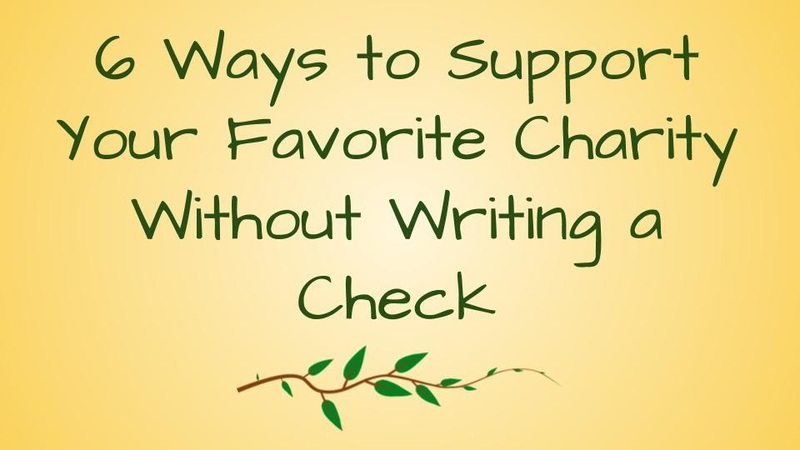 10: What's one famous book you wish you'd written? Harry Potter. Just knowing I had created something so beloved would be awesome - and of course, I'd be SO RICH. 11: What's one book you know you'll never, ever read? Fifty Shades Darker. I read the first book out of curiosity, but didn't care for it. It's just not my type of book. 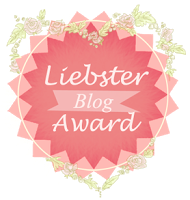 Since I also received a Liebster Award a few months ago and have tagged some other bloggers recently, I'm going to refrain from doing so now. Thank you again to Amy! Oh, this sounds like such a good mystery, especially since it involves a dysfunctional family!